New York – The Start Network has committed to prototype new financial models to ensure that the right solutions are funded at the right time to enable the best possible solutions to humanitarian crises. In a future of great complexity and uncertainty, the humanitarian financing system must evolve in order to meet the needs of crisis-affected people. Today, crises are more frequent, more widespread and affect growing number of people. 70% of front-line crisis relief is provided by non-governmental organizations (NGOs) and civil society actors, but these organisations are constrained by outdated funding distribution models. Money exists for disasters but the system is slow, reactive and inefficient. In humanitarian crises attention from institutional donors and the general public is often triggered by media headlines. By the time these crises hit the headlines, they have already escalated to a point where many lives have been lost. Faster response requires a more proactive and systematic approach to financial preparedness. 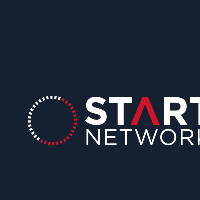 Building on the success of the Start Fund - The first NGO-managed pooled fund for rapid humanitarian response – The Start Network has committed to build new funding mechanisms that can channel predictable and quick resources to frontline NGOs and their civil society partners. 3 – Catastrophe bonds that will finance the containment and control of emerging potential pandemics. The Start Network is applying a layered risk management strategy ordinarily utilised by the private sector and sovereign states for the first time to the humanitarian NGO sector. This has the potential to improve efficiency, timeliness and effectiveness in how relief funds are deployed. “The ability to anticipate and respond early to emerging crises already exists, but the way humanitarian financing is administered undermines that ability. We need new business models that are tailored to specific risks. These flexible and scalable financial models can enable the best-placed humanitarian NGOs to better prevent the loss of lives and livelihoods by acting faster and with greater agency”, said Sean Lowrie, Director of the Start Network. This three-year commitment is being launched at the Clinton Global Initiatives annual conference in September 2015. The success of this ambitious commitment will be contingent on partnerships with organizations in the financial, insurance and philanthropy sectors that can bring ideas, techniques and investment to this innovation. Read more about the three commitments.